Mrs Van Steklenburg (59) is WA Barnados Australia’s Mother of the Year. Three years ago, she supported her son through a crisis situation. Last July, daughter Kym developed severe postnatal depression and an anxiety disorder after the birth of her first child. Then Mrs Van Stekelenburg was again ready with support, moving into her home for six weeks and feeding the baby throughout the night for the entire time. She arranged and attended every appointment with her daughter and helped her son-in-law with cooking, cleaning and household chores. Kym, who has made a full recovery, said her mother was the most positive, energetic, enthusiastic go-getter. 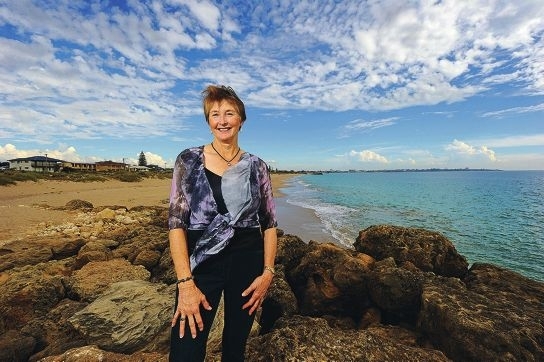 Mandurah MLA David Templeman said the retired teacher was a remarkable woman with whom he had taught at North Mandurah Primary School. Mrs Van Stekelenburg interrupted a 1000km walk on the Bibbulmun Track with her husband to attend the awards.